How would it feel to stalk the jungle as a tiger? This book explores some of the most dangerous creatures on Earth, fascinating readers with examples of how the cheetah ambushes its prey, and examining the cunning of the black widow spider as she traps a victim. 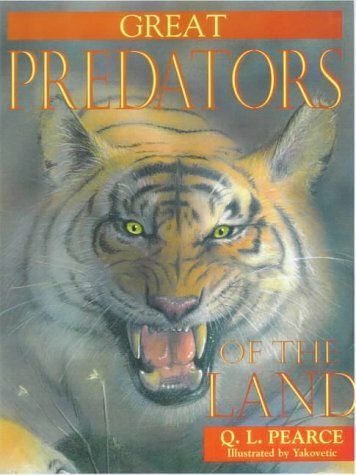 More than 20 great predators are featured. Color illustrations. About Joe Yakovetic (Illustrator) : Joe Yakovetic is a published author and an illustrator of children's books. Some of the published credits of Joe Yakovetic include Great Predators of the Land, Great Predators of the Sea.